By David Volodzko for the Diplomat — The dark night of the Syrian soul is now physically manifest in a nationwide blackout, and as Mohanad Hage Ali writes in Al Arabiya, Beijing’s proxy war in the region means that this shadow has also begun to darken China’s door. Chinese-Pakistani counterterrorism efforts have driven members of the Turkistan Islamic Party (TIP), a Uyghur separatist group, from the Afghan border and into northwestern Syria, where they’ve been scoring points for Beijing and al-Qaeda alike, and shaping the future of Chinese foreign policy in the process. Beijing’s unbridled opposition to Uyghur militancy in Xinjiang is no secret. To the extent that one can argue that communism is a religion, the Party’s attitude toward Uyghur’s Sunni faith borders on theological hatred. Uyghur militancy abroad fans that flame, but also gives Party propagandists their due, redeeming the Chinese narrative, which Western press and Uyghur leaders have long rejected, that the conflict in Xinjiang is an extension of the global struggle against terrorism and not an extension of China’s human rights abuses. In January 2002, the China Internet Information Center (think of a state-owned Wikipedia) claimed that the TIP had received Taliban support, but Hasan Mahsum, founder of the TIP, denied these charges. In the wake of the 2009 Urumqi riots, Eligen Imibakhi, chairman of the Standing Committee of the Xinjiang Regional People’s Congress, blamed the violence on terrorists, but President Erdoğan of Turkey likened Beijing’s reaction to genocide. The charge that they are Syria-bound terrorists comes straight from China’s Ministry of Propaganda. Several years ago, Chinese newspapers began reporting that some one hundred Uyghurs had gone to Syria to join the jihadist rebellion there. This claim is dubious. But no longer. 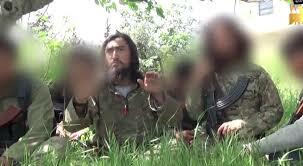 According to Ali, there were several hundred Uyghur militants in Syria last year. Now, suddenly, there are thousands. Last July, when Bangkok deported 109 Uyghurs, Dilxat Raxit, spokesman for the World Uyghur Congress, claimed that Uyghur émigrés to Syria are seeking peace and freedom from Chinese oppression, but Andrew McGregor, managing editor of the Jamestown Foundation’s Global Terrorism Analysis, writes that in Afghanistan, Uyghur militants undoubtedly joined the Taliban. 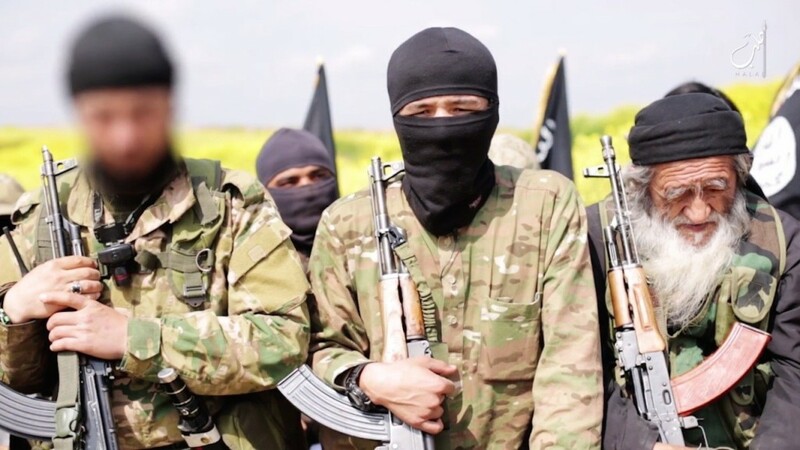 And in Syria, Ali notes, they’ve allied with the local al-Qaeda branch, al-Nusra Front, in battling ISIS, and were instrumental in the capture of Idlib, southwest of Aleppo, where the majority of Syria’s Uyghurs now reside. The Japanese newspaper Mainichi Shimbun reported that for some Uyghurs in Syria, military training only takes about 70 days. In The Long War Journal, Caleb Weiss describes Uyghur camps in Syria designed to train child terrorists. As you can imagine, this is having considerable impact on Chinese foreign policy. As Uyghurs flee from Xinjiang to Afghanistan, and from Afghanistan to Syria, so China pursues. Last November, Jonathan Fenby of The Guardian argued that Chinese military action is “unlikely,” but that a kind of diplomatic evolution is inevitable. China wants to play a greater role in global affairs, and has tremendous incentive to do so. For instance, by supporting the al-Assad regime in Syria, China stands by its allies, Russia and Pakistan, whilst opposing Turkey, whose officials undermine Beijing by issuing fake passports to Uyghurs (prompting one angry Chinese official to remark that Turkey was using Uyghurs as “cannon fodder”). And nearby, the $46 billion China-Pakistan Economic Corridor makes political stability there a necessary condition. This partly explain why, in December, Beijing passed legislation authorizing counterterrorism actions abroad, and why there are now rumors that China is entering the Syrian conflict on Russia’s side. But as China becomes more powerful, and more involved, Uyghurs are sure to become more desperate, and China’s response needs to be more sophisticated than dropping the hammer. As I’ve written before, Beijing’s policy toward Xinjiang’s Uyghurs is ruining them, as it’s intended to do. Beijing has been right about the Uyghur threat, but the difference between terrorism and violent resistance, or counterterrorism and oppression, is often one of perspective. With Syrian peace talks on the horizon, one hopes that Beijing finds perspective in a battle where so many other nations have lost it to the fog of war.